Morgan Housel has a good piece this week on How to get less stupid at investing. The title sounds very insulting but it is a good piece that talks about how most of the time we are only searching the wrong way. We are usually searching for people to agree with what we think. So if we are wrong in the first place, all we are searching for are instances where thought leaders think is correct. People want to feel like they’re making good decisions. The easiest way to get that feeling is to make friends with people who agree with you. But surrounding yourself with agreement doesn’t teach you anything; in fact, it works wonders at reinforcing bad ideas and falsehoods. You only become less stupid by hanging out with people who think you’re wrong. They’re the ones who can point out the things you believe that just aren’t true. If you don’t surround yourself with people who disagree with you, you’ll never realize that you are just as biased and wrong as everyone else — and you’ll keep making the same mistakes. This is why the average investor not only underperforms the market, but has been doing so for his or her entire investing life. I expected a debate when telling everyone I didn’t own any gold, but got something different: avoidance and pity. Few were willing to talk to someone who didn’t believe in gold, and those who did felt bad for my ignorance. This made me realize the First Law of Financial Conferences: People think they go to conferences to learn something, but most often they go to have their beliefs confirmed and reinforced by others. The reason for highlighting this article is that, as investors starting out, you would find any sort of resources online. Your parents do not have that advantage, and you can thank the internet for that. But you would also expose yourself to flawed investment methods. Forums are a frequent place for that. You tend to hear the people that your brain agrees with. I know because that’s how it affected me without realizing it. You believe dividends is the be all end all. That as long as it gives a good dividend yield, that’s all that matters. In recent times, a prevalent term is Mastermind Groups, where like minded people, like a group of Traders, or Value Investors come together to learn from each other their wealth building methods, to improve themselves, or to gain lucrative insights. While you can perhaps learn much and speed up your building of Knowledge (2) and build better Systems (3), there may be a tendency to create an environment that everyone starts agreeing with each other and everyone just die together. A good investment group is one where it is generally sceptical of things, or that have folks doing different methods asking hard questions. 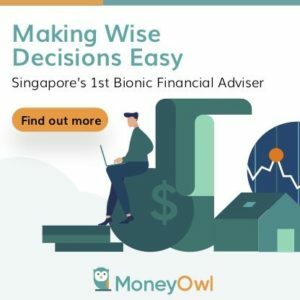 I recently met up with 2 better investors who achieve 10 year 20% compounded average growth and the narrative when you talk to them is that, they believe the Singapore stock market is one big con job, but they are well invested. What happens when you ask hard questions, and what is left over are likely to be better stuff most of the time. Think about this in the investment groups you frequent, or the Whatsapp, Facebook Investment Chat group you form. A general principle I have stumbled upon is one doesn’t have to be exceptional to be above average, in line with what you have mentioned in this post. I personally feel areas 1 and 4 are the most important. With these two, 2 and 3 will likely happen. 2 and 3 is sometimes the result of 1. In a sense, it is something more tangible and eventually keeps momentum going.